Although we call it “the art of transit,” we like to run photos of all forms of transportation. 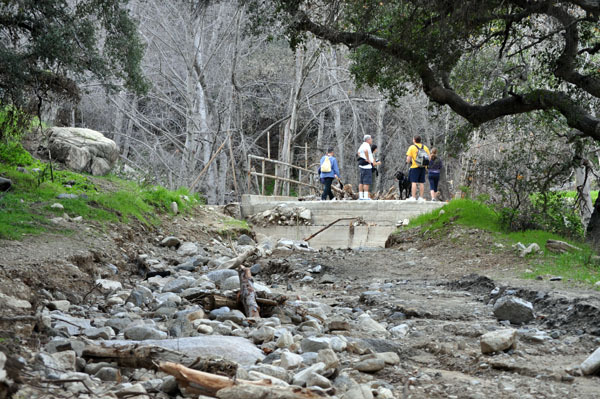 In that spirit, here’s a photo of something that used to be a road — specifically, the fire road along the Arroyo Seco above Pasadena. The wildfires of 2009 and recent storm damage have conspired to erode the top three feet of road leading up to this bridge over the creek.